Man: We have to break up. Man: Don't take it personally. You're one of 37. 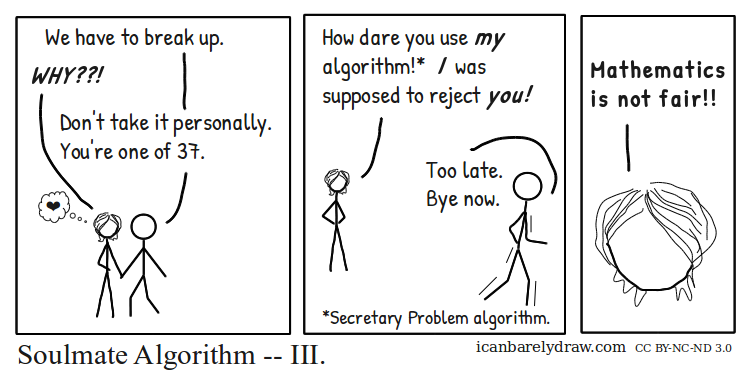 Woman: How dare you use my algorithm! * I was supposed to reject you! Woman: Mathematics is not fair!! Title: Soulmate Algorithm -- III.